Our solutions span the entire supply chain. Hover over each part of the supply chain below to learn more. Dairy.com is your resource for understanding the industry, whether you’re a beginner or a veteran. Visit our video library today. Enjoy a recorded Dairy 101 webinar or sign up for upcoming events. As always, our webinars are free to view and share with others. Find out why nearly 80% of Dairy Foods’ Top 100 dairy companies are already working with Dairy.com. Market prices are constantly changing. Monitor the fluctuations from anywhere with just one click. Discover more than a dozen publications designed to help empower your business decisions. 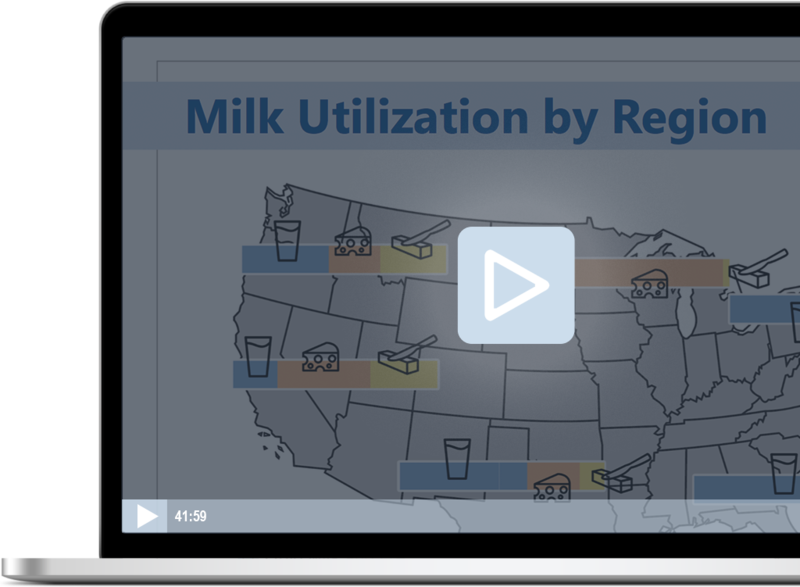 Power your dairy supply chain with industry-leading dairy software: milk solutions, manufacturing and commodity trading.